Six Degrees of Separation, from The Girl with the Dragon Tattoo, to…. Our first #6Degrees for 2017! 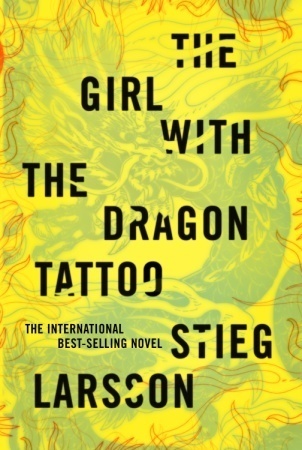 Hosted by Kate at Books are My Favourite and Best this month’s starter book is The Girl with a Dragon Tattoo by the Swedish author Stieg Larsson, one of those international bestsellers that is still selling by the gazillion every day. Me, I wasn’t going to waste my money on a book I suspected that I wouldn’t like so I borrowed it from the library – and yes, it’s a crime novel – the genre I least like after romance – and I duly abandoned it after 30 pages. I know this because I have seen the actual painting in the Mauritshuis in The Hague, where we had one of the best guides ever! I really enjoy books about art, and I have a particular fondness for botanical art. I like to have these books on the coffee table and just browse through them when I have an idle moment. It’s a way of having beautiful things in my everyday life. 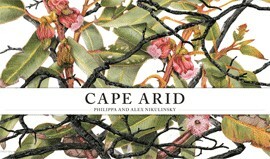 One of my favourites is Cape Arid by Philippa and Alex Nikulinsky which not only has exquisite art works but an accompanying texts about the joys and travails of painting in the solitude of the remote bush. The other thing I like about these books is that they showcase the contribution women make towards scientific knowledge about botany. 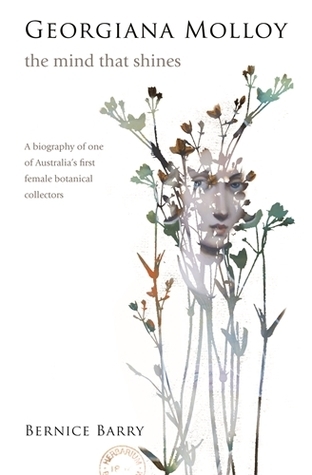 In the days of early settlement the women who studied local flora may not have known that they were continuing a gendered indigenous tradition that goes back 60,000 years or more, but their collections and paintings formed an invaluable contribution to the growing body of botanical knowledge which informed the work of people like Ferdinand Von Mueller at the Royal Botanic Gardens in Melbourne. One of my favourites of these women is Georgina Molloy. I read a profile of her first in Collecting Ladies by Penny Olsen, and then in a biography of her own: Georgiana Molloy, the mind that shines by Bernice Barry. But excellent as the Molloy biography is, my favourite kind of bio is literary biography. I’ve reviewed 18 of them on this blog and I have another half dozen on the TBR. 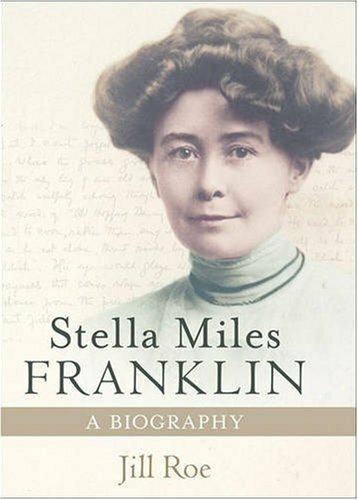 My favourite is Jill Roe’s award-winning biography Stella Miles Franklin which is a must-read for anyone wanting to know more about the woman whose name graces our most prestigious literary award, but I also recently enjoyed Nettie Palmer’s study of Henry Handel Richardson. 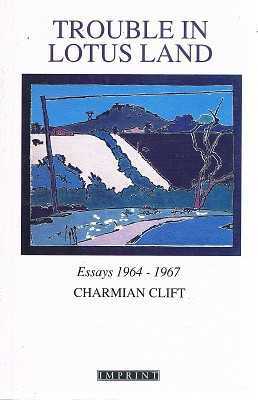 Over the past year, I’ve really been impressed by the essays I’ve read through my subscription to Quarterly Essay. 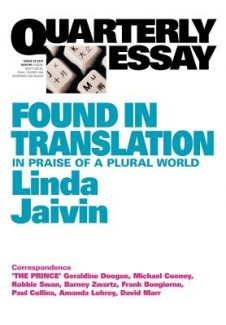 I named two of them in my Non-fiction Best Books of 2016 but my all-time favourite from this series is Linda Jaivin’s Found in Translation, in praise of a plural world (QE #52) because she makes such a powerful case for reading widely from books in translation. And this is a good place to pop in a plug for Stu’s Pushkin Fortnight at Winston’s Dad in February. It’s easy to join in this initiative because Pushkin’s list includes lots of novellas that don’t take too long to read. From a translated novel about tattooed ladies to an essay asserting the value of translation… that’s my #6Degrees this month! After reading The Mind That Shines I was moved to discover more about this place I live in WA. Not only the botanical wonders but the writing of so many of the women writers who made their contribution to the literary culture of the place. It is the wonderful thing about reading you just never know where it may lead and what you will learn. Thanks for reminding me and yes Linda Jaivin is right on with her emphasis on writing in translation. Hi Rebecca, that info about the title is hilarious! I wonder what it says about Sweden that it’s ok there, and about America that it’s not! I don’t read much literature in translation so thanks for the link to Stu’s initiative- I’ll take a look. I like this 6 degrees notion. Must get some Australian fiction, too. Where would you recommend I start? You could try having a look at the books I talk about in this interview https://readeratlarge.com/2011/06/29/reading-in-oz-an-interview-with-lisa-hill-from-anz-litlovers/ or there’s this https://anzlitlovers.com/2011/01/26/the-anz-litlovers-list-of-best-australian-books/ – happy reading! Haha Zeus, loved how you worked in Jaivin. 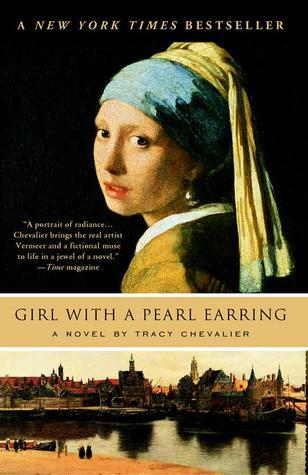 Also like the first link to Girl with the pearl earring. Good one! Ta muchly, it’s curious how the mind works with this meme! It’s fun though isn’t it. Lucky you being able to see the Vermeer – twice now I have gone to a gallery to see one of his paintings and each time it has been out on loan somewhere. It happened in the Louvre and also in Amsterdam…. LOL Just imagine then how cross you’d feel if you’d come all the way from Australia only to find that something you love is on loan or being restored. Or worse, when on our first trip to Paris, all the public museums were on strike for the whole week we were there. (Yet see how lucky I am to be able to write ‘on our first trip’. For many Aussies, there’s just the one ‘trip of a lifetime’ often in the early years of retirement, fulfilling a long-held dream). Lord, this is also a brilliant chain! Feeling quite humbled by these. I remember having a go at 6 degrees some time ago and, having just read your thread and two others, I think I’ll give it a shot again. It is such good fun! Great! I look forward to seeing how you do it! Update: here’s the link to Karenlee’s, all done with short stories!